Download a free trial of Milestones Professional – the only limit is your imagination (and 20 file saves). Get support for Milestones Professional, including tutorial videos, our knowledgebase, and more. 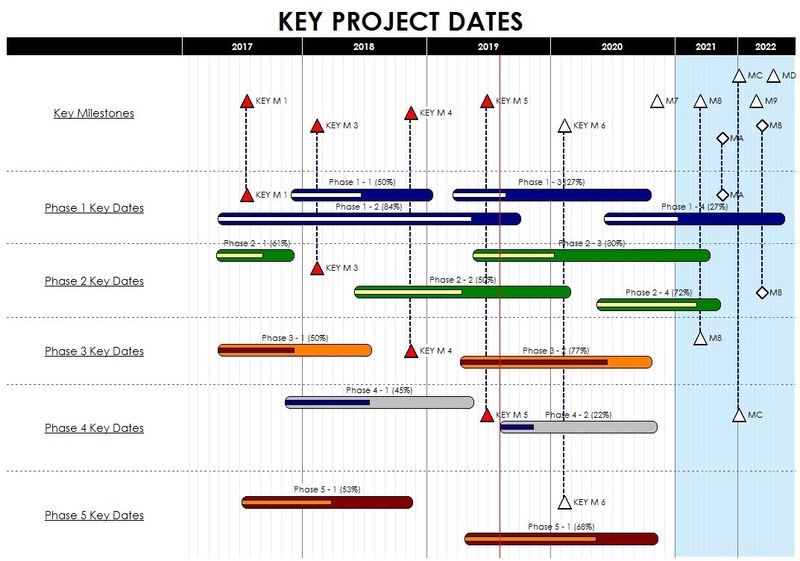 See some examples of schedules created with Milestones Professional. 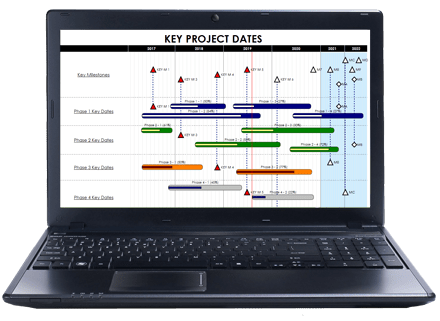 We understand that when you manage and schedule complex projects you need software that’s powerful, fast, and extremely easy to use. Which is why we created Milestones Professional. 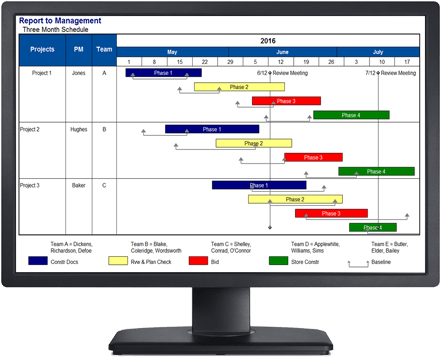 You see, Milestones is project management and scheduling software that lets you organize your projects, create timelines, sell your ideas, streamline your work, and track results. All more easily than you ever dreamed possible! That’s right. 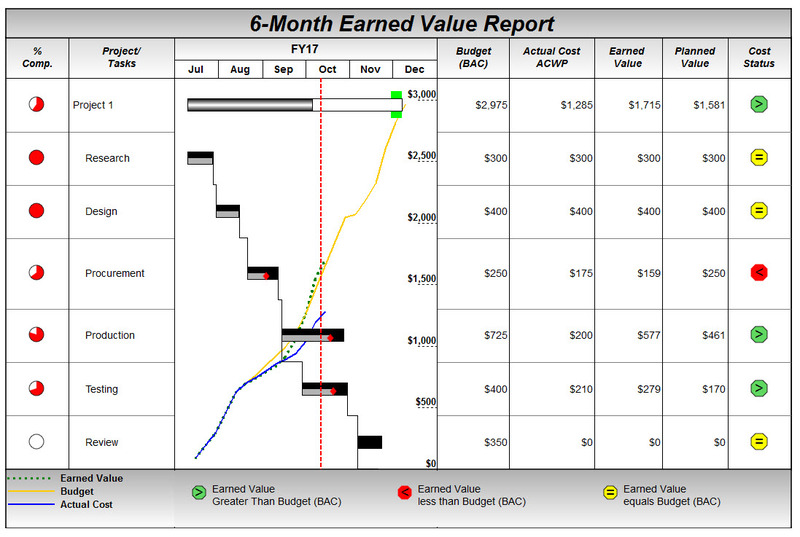 When you put the power of Milestones to work, you’ll transform Microsoft Project, Microsoft Project Server, or even Primavera schedules into attractive, persuasive, executive-level presentation reports that get noticed. And get you noticed! And don’t worry about making changes to your schedules. 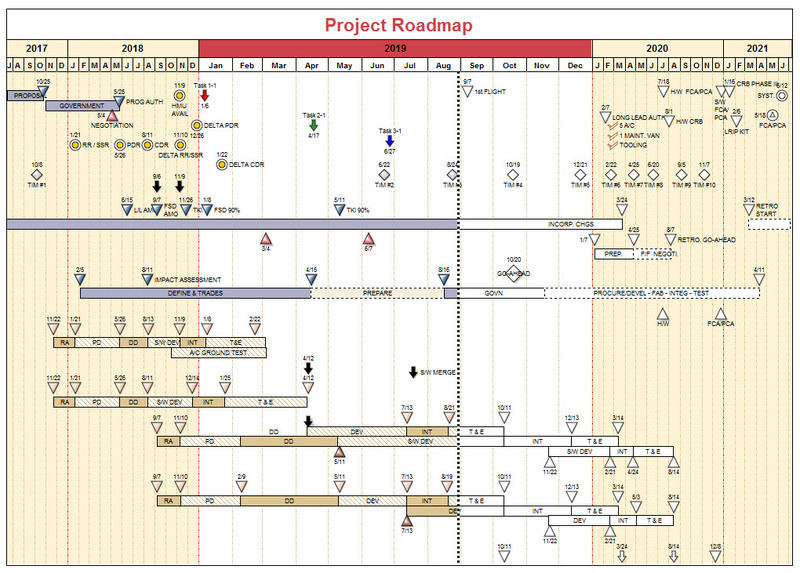 When your project schedules change (which they often do! 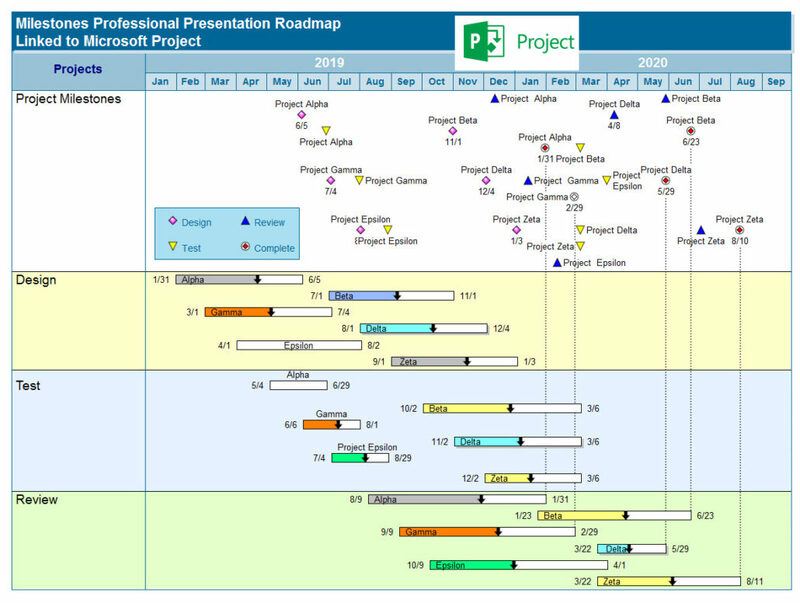 ), you can choose to “refresh” the presentation schedule with the latest dates from Microsoft Project or Primavera. There are times when you want to make a presentation that’s short, to the point, and conveys crucial information quickly. That’s when Milestones Professional comes in handy. You see, Milestones makes it easy to communicate a lot of vital information all on a single page. We’re talking about integrated master schedules, swim lane reports, “birds on a wire” reports, and much more! 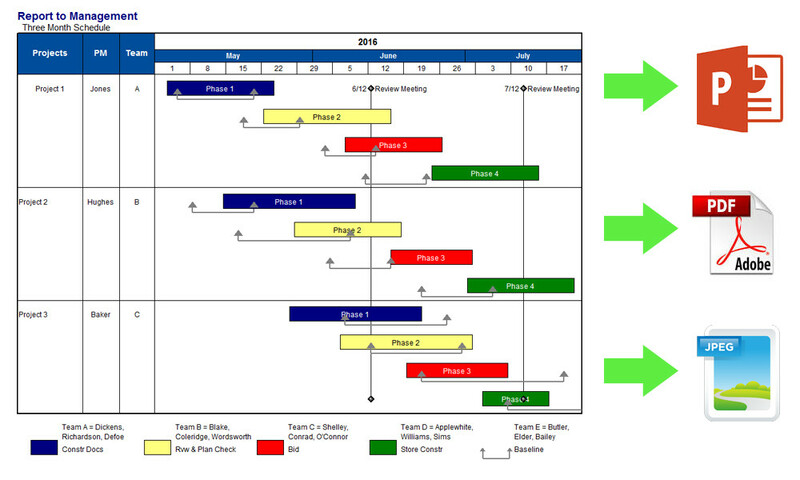 We have a lot of example schedules on our website – see what kind of output is possible with Milestones Simplicity. 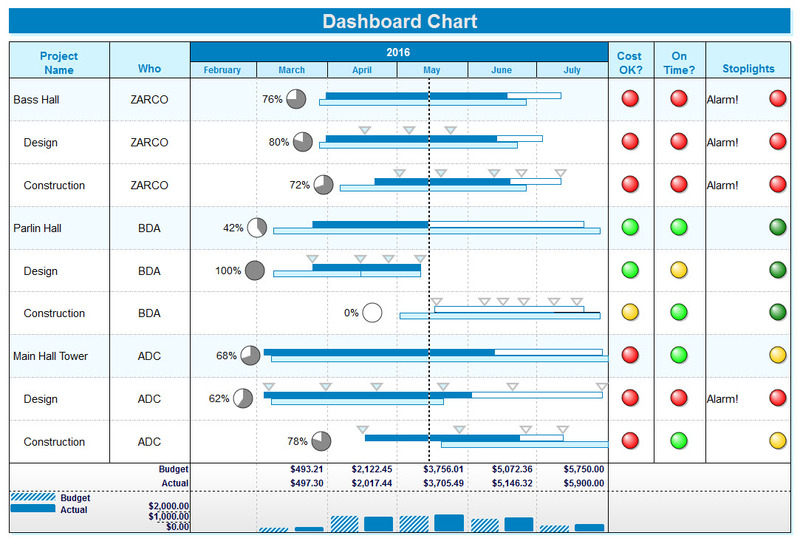 Compare Milestones Professional to Milestones Simplicity, and other competing products currently on the market.